Ocean Dunes Recreation Center. Ocean Dunes Recreation Center. Ocean Dunes Recreation Center. Ocean Dunes Recreation Center. Ocean Dunes Recreation Center. Ocean Dunes Recreation Center. Welcome to Kure Beach - a small, laid back island town just off the coast of Wilmington, NC. We are home to the NC Aquarium and Fort Fisher Civil War battlefield and museum. 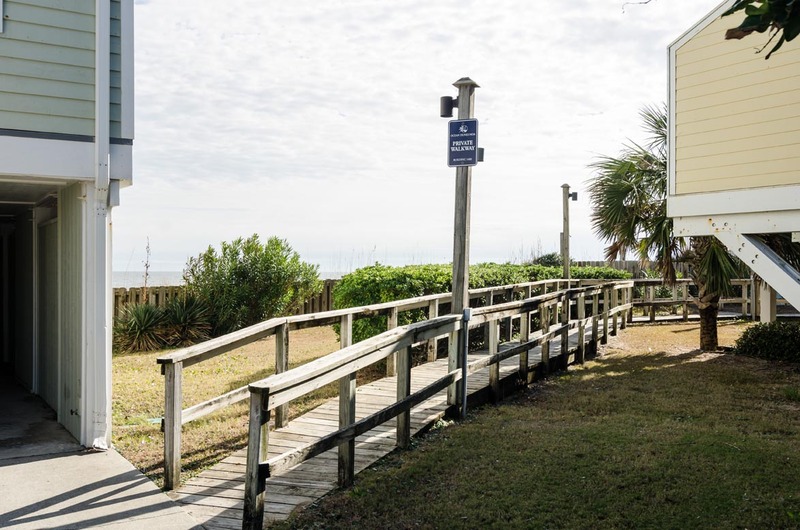 Take a walk out onto the Kure Beach pier - the oldest pier on the east coast! And if you like seafood, well, this is the place to be. 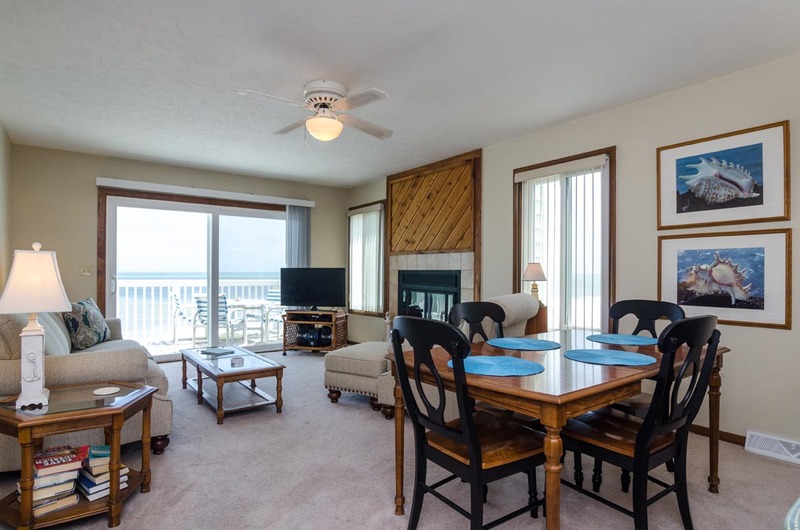 Our condo comes with the full use of the Ocean Dunes Rec Center and indoor pool, basketball court, and tennis courts. 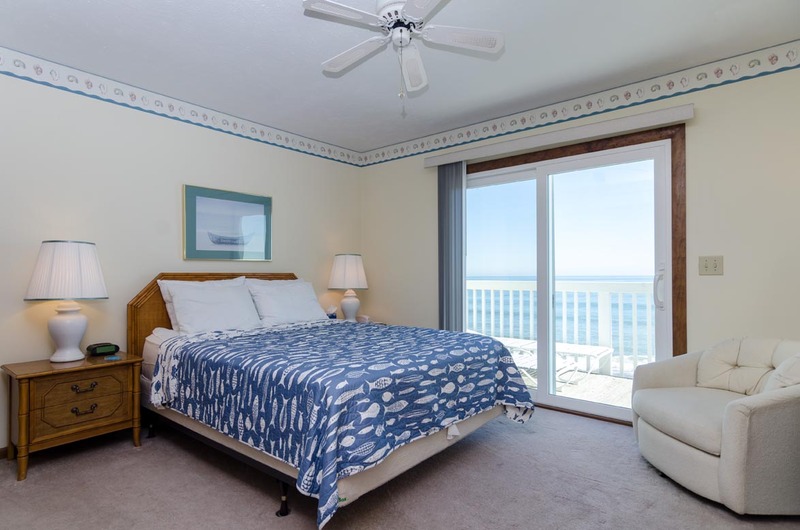 This condo is a top floor, end unit condo right on the ocean that offer some of the best views of the beach right from your living room and master bedroom. Sit out on the deck and you'll feel as though you're right on the sand dune - you're that close. 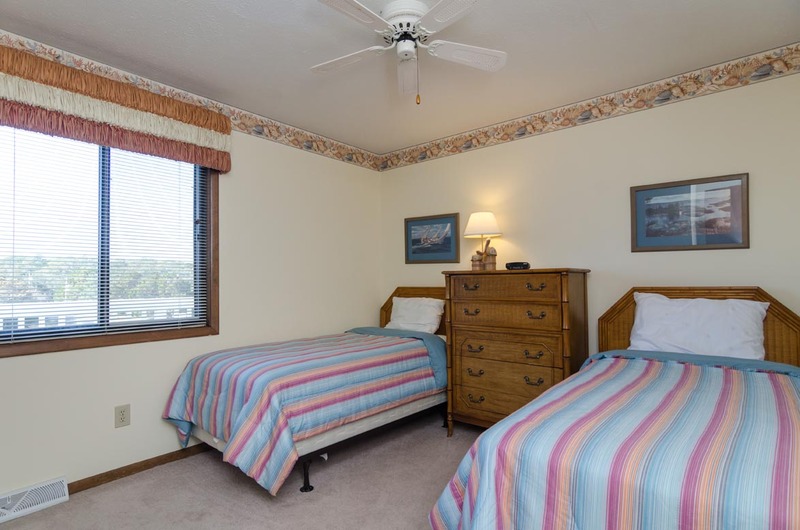 We have two good size bedrooms and two full baths. We offer a fully equipped kitchen and comfortable living room seating including a pull out sleeper sofa. We sleep up to six people and have parking for two cars right under the condo. We had a nice visit and the location couldn't be more perfect. The condo was clean and steps from the beach. K+Love the end unit and close access to the beach. The kids loved the indoor pool at the rec center. Only negatives are: the key code didn't work when we arrived and maintenace had to be called to let us in and it took 45 minutes for them to arrive. Also, when we left, the storm door got jammed and we were literally stuck inside. We had to crawl out the window of the bedroom to get out. We called maintenace again and they were 45 minutes away to come help us. Lastly, checking out at 10 am and checking in at 4pm is a bit of a rip off. Would be nice to get in earlier and stay later. Otherwise, we had a nice trip! Paul we aappreciate your review. We apologize that you had issues with lock and the screen door. Unfortunately check in time and check out times are required to get the units turned over for the next guest. If a someone else is not checking before your arrival or after your departure, there are options for early check in or late check out. we are glad that you had a nice trip and hope to see you next time. -Location and view were awesome! -Condo was clean but did have ants (very small black ants). -Condo below was having parking area repaired and dust from repair covered my vehicle two days in a row. This doesn't really have anything to due with the unit being reviewed. -Patio furniture needs to be cleaned. Long lounge chairs had black mildew on the back of them and this will get on your skin and clothes. -Condo is a bit outdated but that was OK because the price was lower than those in the same area. -Deck boards need to be sanded. Many splitters can be had if not careful. -There is some sort of rock formation on beach/sand line that can cause pain if you do not see prior to getting into ocean. This only appears in the area directly in front of condo and south of condo. Area not food for fishing or boogie boarding due to rocks. Overall, I would recommend this condo. Our overall experience was great. 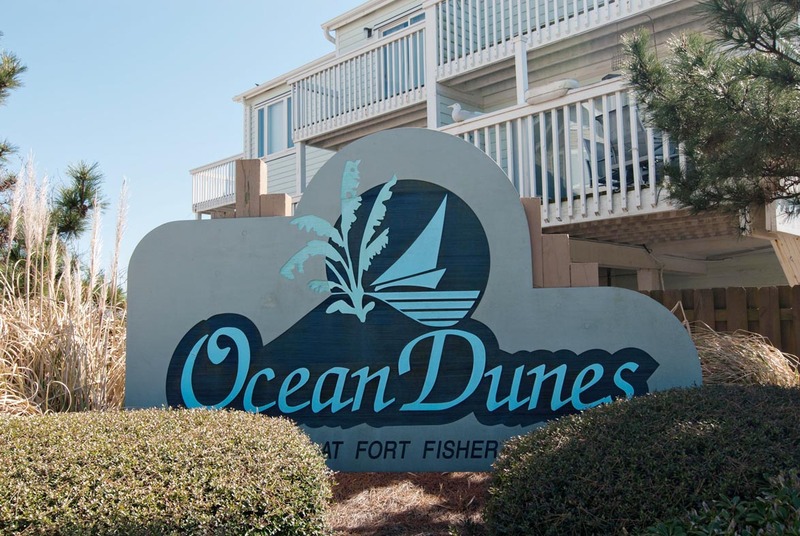 The southern end of Kure Beach by Ft Fisher is a very relaxing vacation spot, and our condo provided a very comfortable stay. The deck floor needs some work, and the deck furniture needs cleaning,but we managed to relax watching the waves and morning sunrise. Great view of the ocean! We stayed in unit 1308 for a week in late June. The view was amazing and the air wporked great. Though things were dated the place was clean and comfortable and in agreat location. Nice condo with beautiful view. Parking at this unit is rough since it’s on the corner. We rest and relax on vacation so wasn’t a huge deal to us. The unit itself was very nice and rental was no hassle. They took good care of paperwork making it easy to rent. We had a nice, relaxing, family vacation. The location was great. Parking was a pain due to the tight fit in the carport and the unit being on the end. Overall the condo was clean and well kept, if a bit dated. 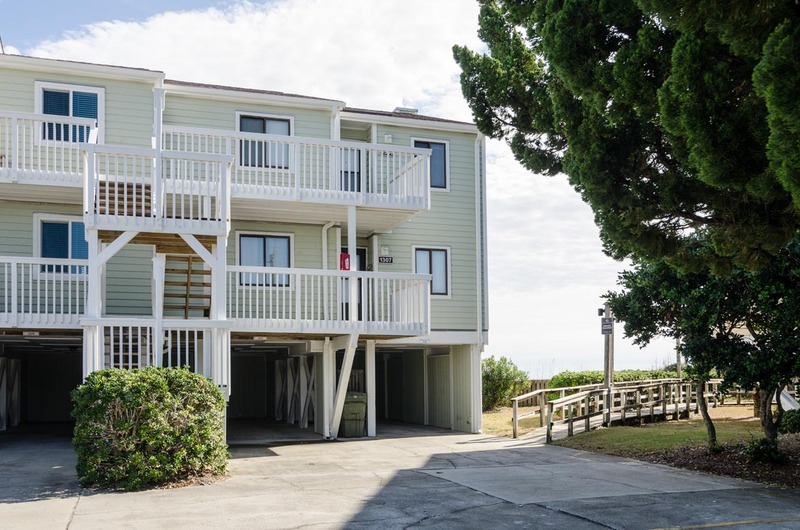 You are literally on top of the beach and beach access is very convenient. We would stay again if we came back to Kure Beach. Condo was great! Right on the beach. Was really nice to have an additional TV in the master bedroom. Condo was very clean. Overall we had a wonderful time. Beautiful place right on the beach! Traveling with the family, this oceanfront condo with access to an indoor pool was perfect for HS. We enjoyed the hot tub too. One consideration is updating the wifi information as we could not ever find the listed one. It would be nice to have a code on a keypad rather than physical keys, but that might be against the convenants? Would just make check in so much faster. The place itself is beautiful and the ocean views too. We liked the proximity to the sand. If you are traveling with a small family, it will fit your needs perfectly. Hi Kelley- thank you for your feedback! We are so glad you enjoyed your stay and your family had a nice time! This is a great unit. I do hate to hear that the Internet was not working. Please note for next time that we have maintenance and housekeeping on-call 24/7 who would be happy to come and fix things like that for you anytime! Also, you will be happy to know that we now have keyless entry! It is something that we have been working on and planning for some time now, and we can officially say that it is now something that we have at this unit and most of our others! It is going to make check-in and check-out much more smooth and efficient. Thanks again for staying with us and for your comments- we hope to see you back again soon! 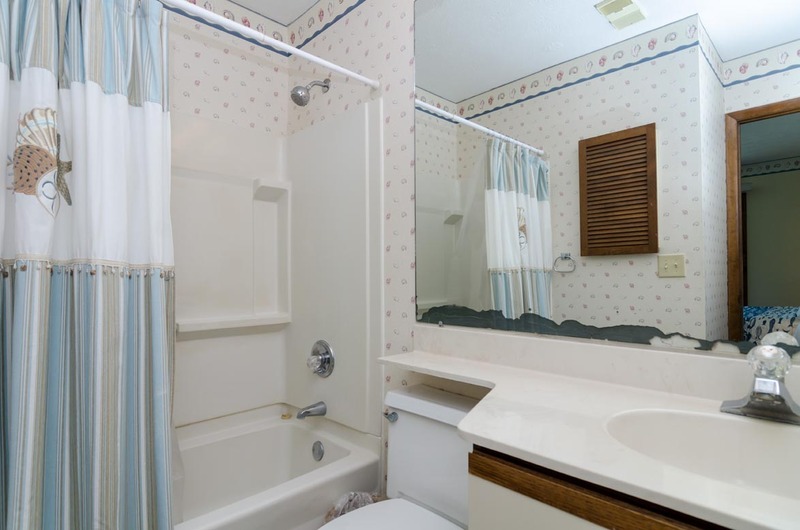 Great condo, very clean and comfortable. View of the ocean perfect. New furnishings throughout and nice kitchen. Will be back next year. Compared to the more busy Carolina Beach, which is just north, Kure Beach is nice and quiet. It is also filled with history with the oldest pier on the Atlantic and the Fort Fisher battleground just to the south. 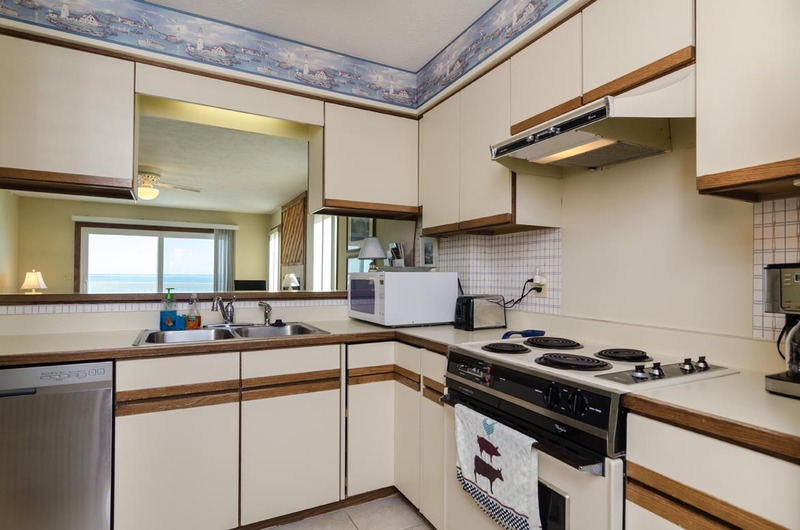 This condo is a second-level corner unit right on the beach. The beach is filled with shells and occasional shark teeth so, it makes for a fun day of walking along the shore. As of April, the water is too cold to swim in without a full wet suit. The water is brown due to the brown sand sentiment. On a non-windy day, the waves are too small for surfing, but on windy days, the waves can get up to three feet. Overall, we were very happy with the condo and location. We enjoyed the unit for six weeks. It was wonderful to wake up every morning hearing to waves and watching the sun rise from the balcony that was on the oceans edge. Dolphins usually swam by about 10:30 am daily. The space was great and we enjoyed all the local restaurants. 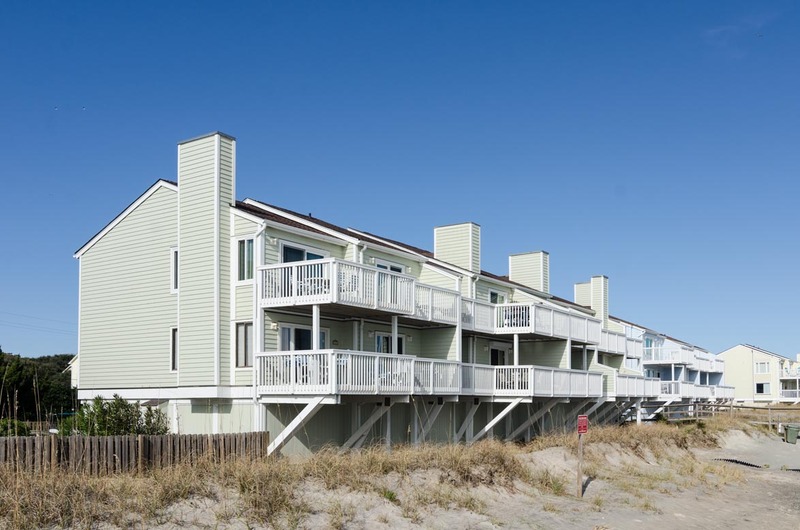 Our family of 5 stayed at Ocean Dunes 1308 in the middle of June. The Realty office was conveniently located so that we didn't have to go out of our way to pick up the keys. The staff was very friendly and even called to let us know that we could check in early because our condo was ready. The condo was located on the third floor (no elevator) and the views were spectacular! The beach is literally so close that at high tide the water is merely 20 feet from the deck. The deck is very large and we were able to have dinners outside with the whole family. The Rec Center is a short walk away for the indoor pool and fitness center. The outdoor pool was farther from our condo than I would have liked and a bit small but the kids didn't seem to mind. There is only one grill located at the outdoor pool which was a huge disappointment. We experienced lots of waiting in line and having to change our dinner plans on more than one night. The beach was very interesting with many areas of rocky shores which made for neat areas to explore for shells but not so good for boogie boarding. No lifeguards on duty in this area although they drive by on their 4 wheelers a few times a day. No strict rules and regulations in this area. Loved the quiet, deserted beaches - no crowds here! Loved the small town restaurants and local shops throughout Carolina Beach; Fort Fisher and the aquarium are within walking distance; the boardwalk has numerous bands and firework displays. We even rented bikes one day and jet skis on the waterway another. We had a very enjoyable time during our long weekend getaway. Kure Beach is a great place to visit. The condo we rented was very clean but desperately needs updated. Hello - thank you for your feedback. We are happy to report that the living room furniture has been updated for this season! We will work with the owner to ensure updates are made each season to raise the caliber of this property. We look forward to hosting you again and getting feedback on the updates! We lived the idea of this being an end unit. View was superb. The kitchen is small but we only made coffee there so it was fine. Also four sets of steps are a little tough for me since I was reviving from surgery. Otherwise... fantastic. Would he Guly recommend snd look forward to our next stay with Bryant Realty! Such nice folks and the location is easily accessible! Thanks again for a fantastic much needed vacation! 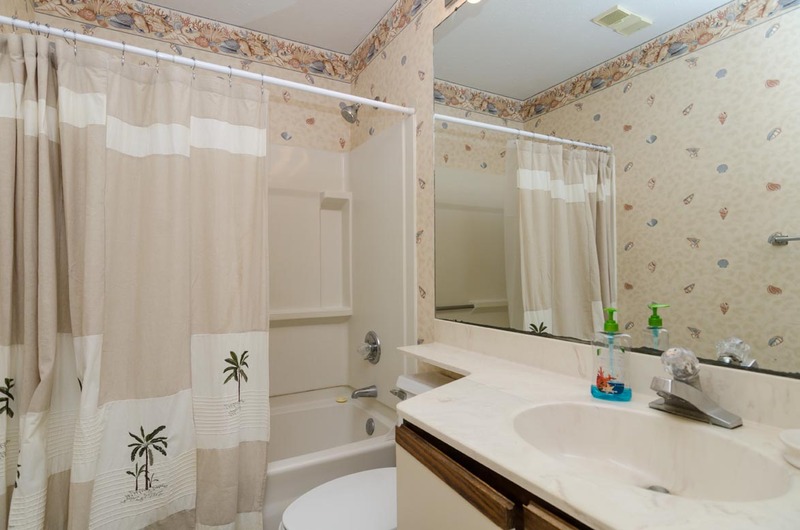 Wow, were to begin, the condo was very clean (I clean as a side job, so I'm a little OCD about places being clean) it had a very homey & comfortable feel. Bedrooms were a good size and the beds were very comfortable, the view was absolutely amazing, at high tide it was about 20 feet from the balcony, it had a good size balcony that you can enjoy, stunning sunrises, cool breezes, with plenty of space to have breakfast or dinner as a family. Location can't be beat 1.5 miles Kure Pier, about 1 mile to Fort Fisher, about 2.5 to 3 miles from NC Aquarium they have a new bird exhibit were you can feed the birds, the pool and hot tub was across the street and were amazing. Its very quite and relaxing, its an end unit when you go down the stairs you are right at the board walk to that leads straight to the beach. The beach was a little rocky which was a surprise, you can find shark teeth, shells etc. in the rocks but on the flip side if you have small children you may want to keep a little closer eye on them, as you can not see some of the rocks at high tide, I noticed other reviews had some issues with the drains, but the tubs have little traps that catch the hair, we just cleaned the hair out (our own) and it works just fine. Over all this is a fantastic place to stay. Hope to stay there again next year.